There are a lot of things I’m willing to compromise over—but good food isn’t really one of them. I’m 100% one of those people who’s already planning what I’m going to eat for dinner during breakfast. I love big, bold flavors. No bland, boring food for me, please! With that said, I still want to be conscious of what’s good for my body, and I’m really busy. So, mealtimes for me are often a struggle to find a balance between time, nutrition, and flavor. That’s why I’m always on the hunt for quick, easy, lightened up recipes that don’t skimp in any of those categories. Eating guilt free shouldn’t mean you can’t indulge in a meal that’s as equally delicious as it is healthy. 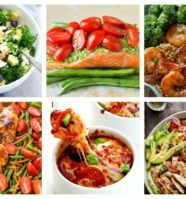 That’s why we’ve rounded up 21 300-Calorie Meals You Can Make In Under 30 Minutes! 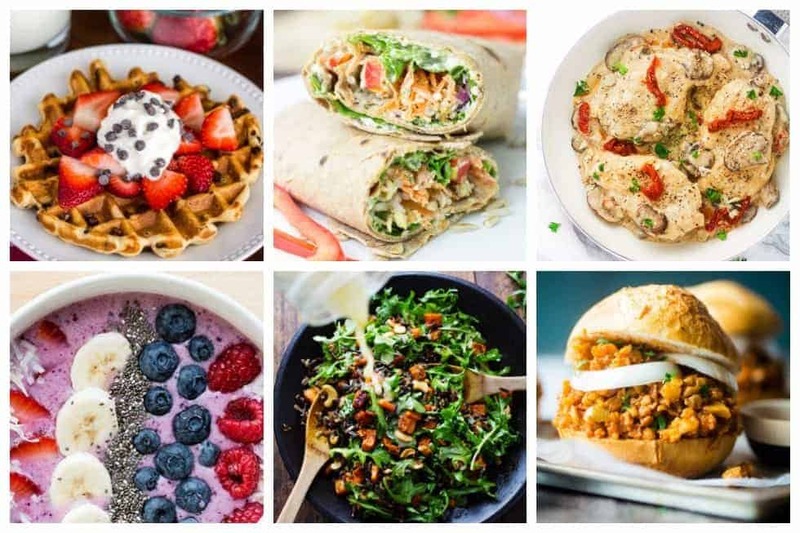 From chocolate chip waffles to the holy grail of lightened up alfredo, we’ve found fast and flavorful meals that won’t sabotage your waistline. There are 7 breakfasts, lunches, and dinners. So, feel free to mix and match to plan out a whole week’s worth of quick, healthy, tasty meals at a time. It’s the food trifecta. Go forth and eat happy with our 21 300-Calorie Meals You Can Make In Under 30 Minutes. 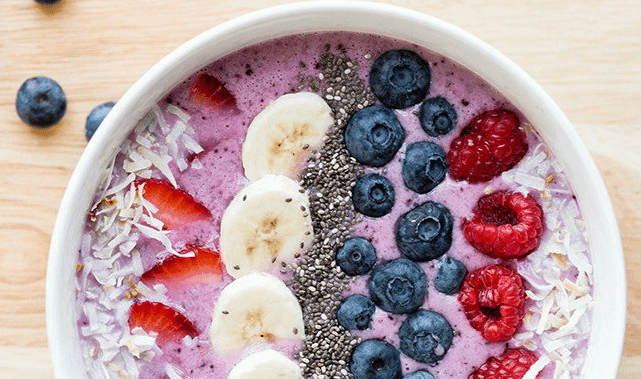 This smoothie bowl is packed full of fruity goodness. It throws in nonfat yogurt and almond milk to round it out. The joy of smoothie bowls are that you can basically throw everything into a blender. This particular one comes together in less than 10 minutes and clocks in at 280 calories. Not only are these fluffy pancakes just 208 calories per serving, but they’re also gluten free and high protein! Talk about a power breakfast. I’m a huge pancake lover, and it’s even better when they can keep me full until lunchtime. 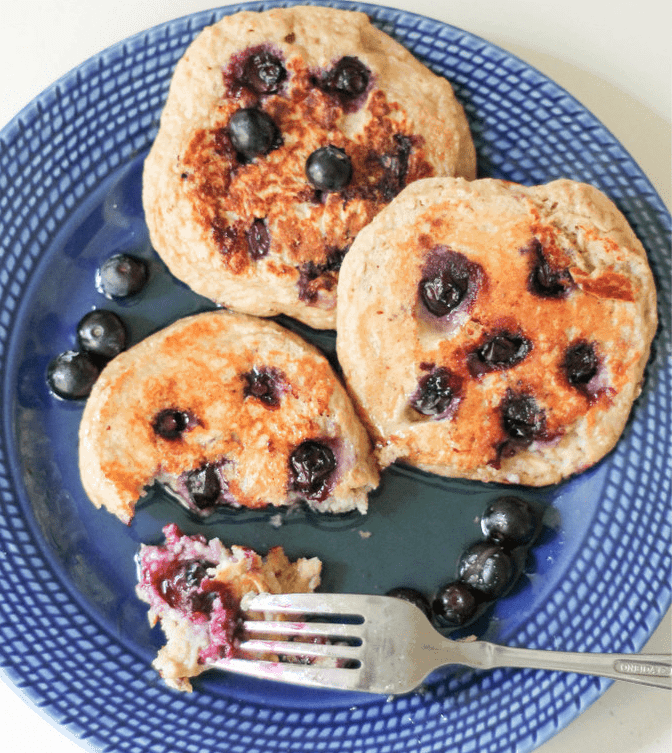 These pancakes use rolled oats instead of flour and yogurt for a protein boost. 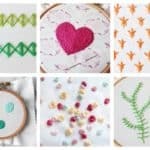 Oh, and did I mention these only take 10 minutes? It might be a mouthful to say, but it’s also a mouthful of pure goodness. This is like the McMuffin’s better-tasting cousin. 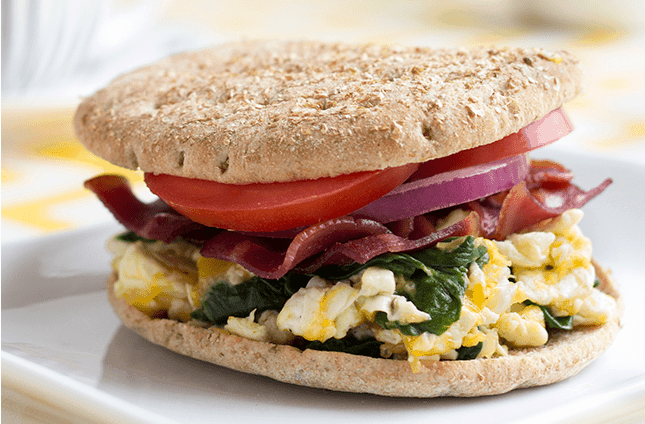 It uses turkey bacon and egg whites to keep the calorie count down and comes in at 303 calories. Plus, it only takes 15 minutes, so it’s perfect for a busy morning. Really, is there any better way to kick off your morning than with a taco? These yummy tacos are full of veggies like spinach and tomatoes. Plus, they’re packed with plant based protein from the tofu, which keeps the calorie intake down to just 262.5 calories per serving. They only take 25 minutes and are perfect for weekend brunch. I’m a sucker for a good smoothie. They taste so clean and they’re flavorful enough to perk me up in the mornings. Plus, they’re a great way to sneak in a serving or two of veggies. This recipe uses spinach, is only 5 ingredients, and is 253 calories of veggie powered goodness. And it might be the world’s fastest breakfast. Just throw it in the blender and it’s done in under 5 minutes. 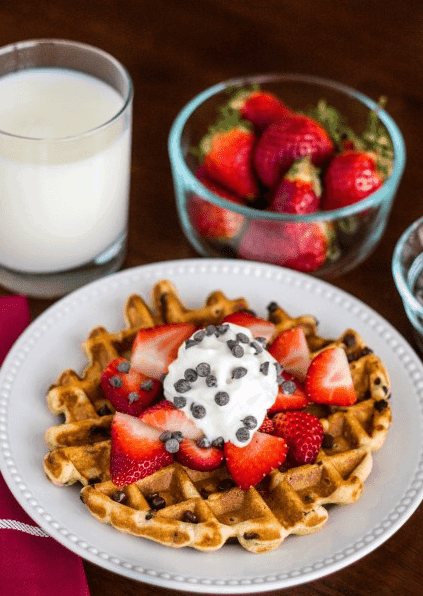 These chocolatey, delicious waffles are just 299 calories each! That means you can indulge without the guilt. All I ever want to do for weekend breakfasts is to dive into a big pile of carbs, so these waffles fit the bill. These waffles come together in under 20 minutes. Plus, they’ll satisfy your sweet tooth without sabotaging your morning. 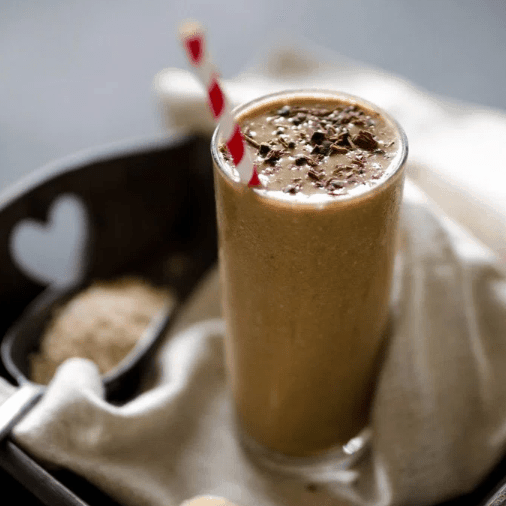 Get your caffeine kick with this easy, low cal smoothie. 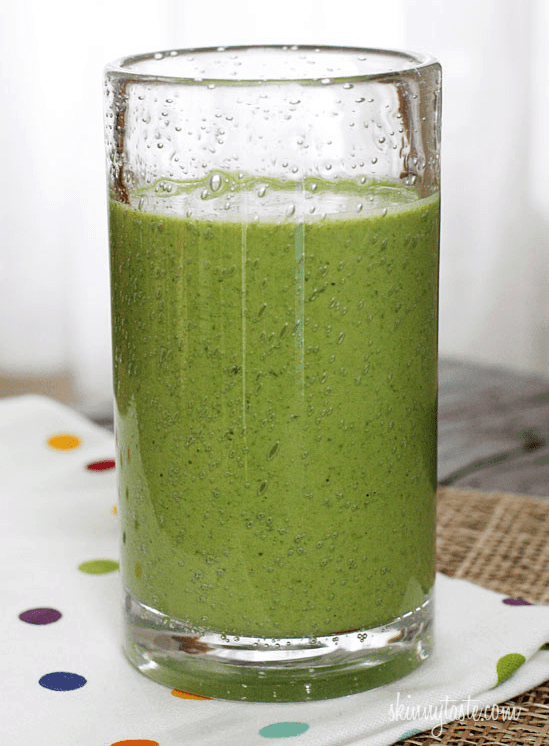 This smoothie is perfect for mornings when you don’t feel like eating anything heavy. It takes 5 minutes and tastes like a frappuccino. It uses rolled oats and a banana to fill you up at just 229 calories. Plus…coffee. How can you resist? 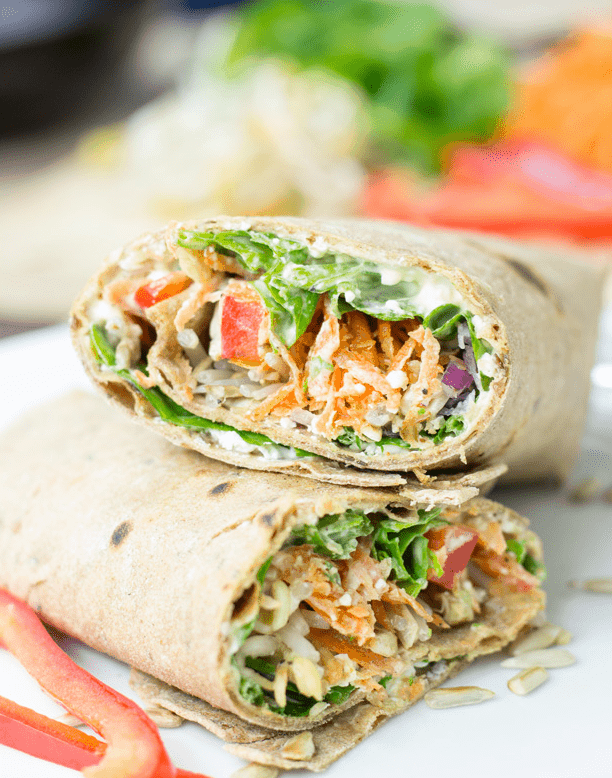 Wraps are the ideal lunch food. They’re delicious, fast, and portable. This particular one also happens to be just 298 calories. It combines veggies like spinach and bell pepper for a power packed lunch. Plus, it uses lemon juice and yogurt to add bright flavors. There’s even instructions for a vegan substitution if you’re not feeling the dairy. These take just 25 minutes and are chock full of nutritious flavor. You had me at avocado. This recipe puts a twist on this lunch classic. 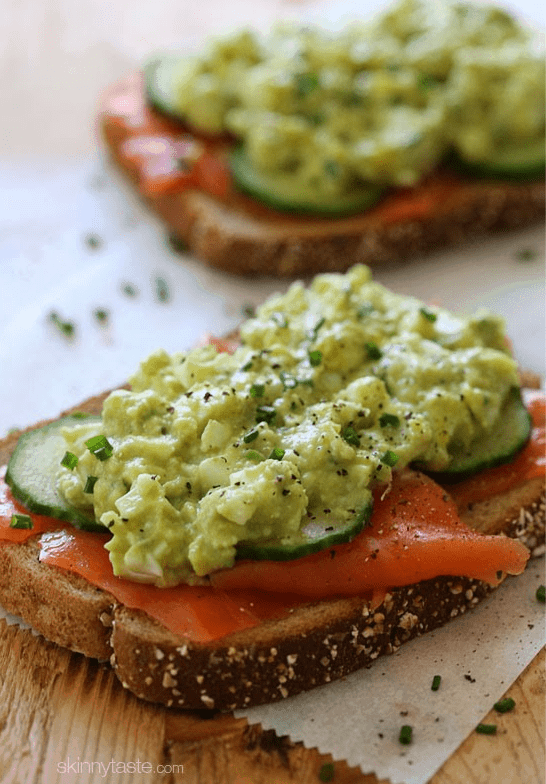 Between the avocado and the salmon, this sandwich is full of healthy fats that will keep you energized. The avocado gives it a creamy, indulgent quality, but it clocks in at just 226 calories. And it only takes 20 minutes, so there’s no excuse not to make it immediately. There’s nothing like a good pizza pick-me-up. But let’s face it: when you think of low calorie, pizza isn’t the first thing that comes to mind. That’s why we’re obsessed with this recipe! The entire pizza is only 255 calories, and it’s done in 25 minutes. 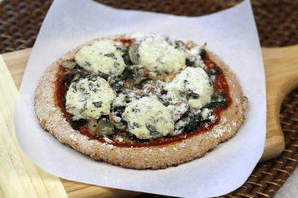 It uses pita bread as the crust and packs in lots of veggies like mushrooms and spinach. So, now you can have your pizza and eat it too. This is the mixed veggie salad of your dreams. It’s so light and refreshing and full of yummy veggies. It’s just 274 calories per serving, and it’s so simple it only takes 15 minutes to throw together. Black beans pack in some protein while lime juice dresses this salad up with bright, citrus-ey notes. This is a perfect, fast lunch for busy days. 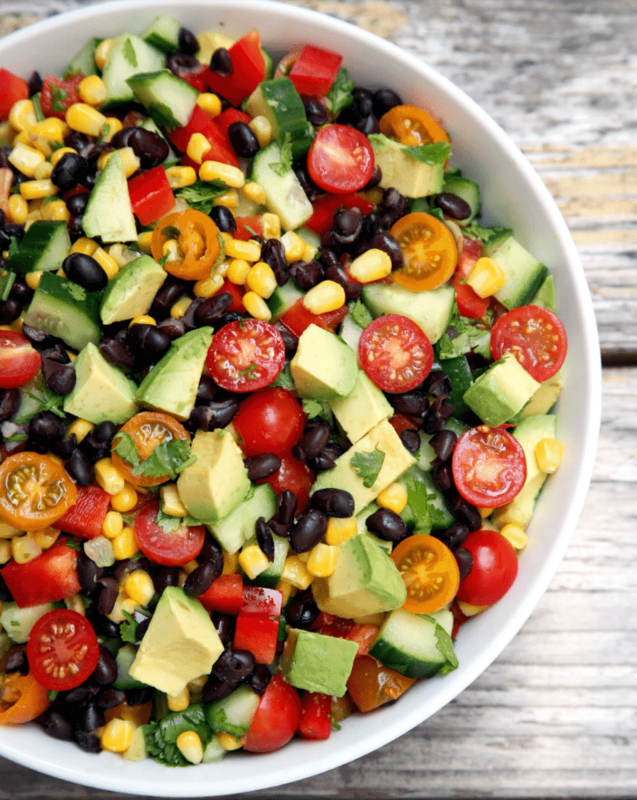 If you prefer your salads to be a little heartier, then this is the recipe for you. 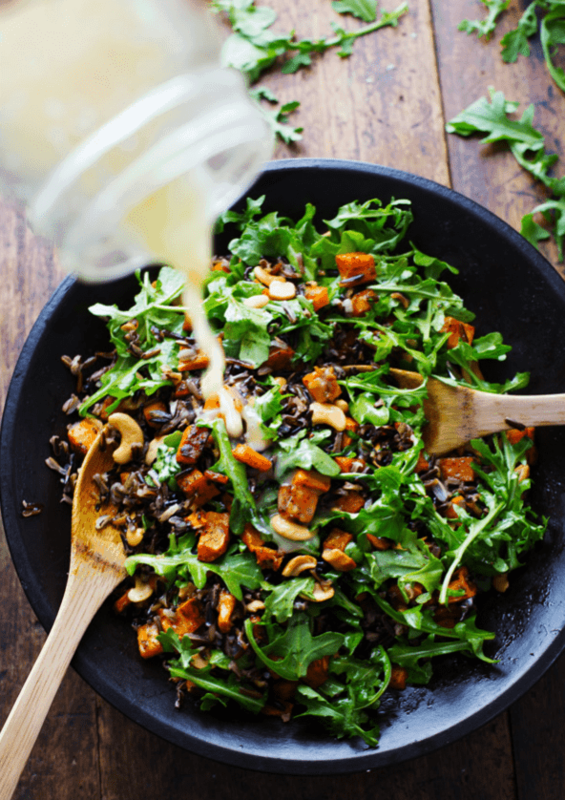 It uses sweet potatoes, cashews, and yummy wild rice to keep you full and satisfied. Plus, it pairs bright, peppery arugula to balance it out. It comes in at 301 calories per serving and takes just around 30 minutes to prepare. It’s hearty, it’s fast, and it’s healthy. This is a revolutionized childhood favorite. 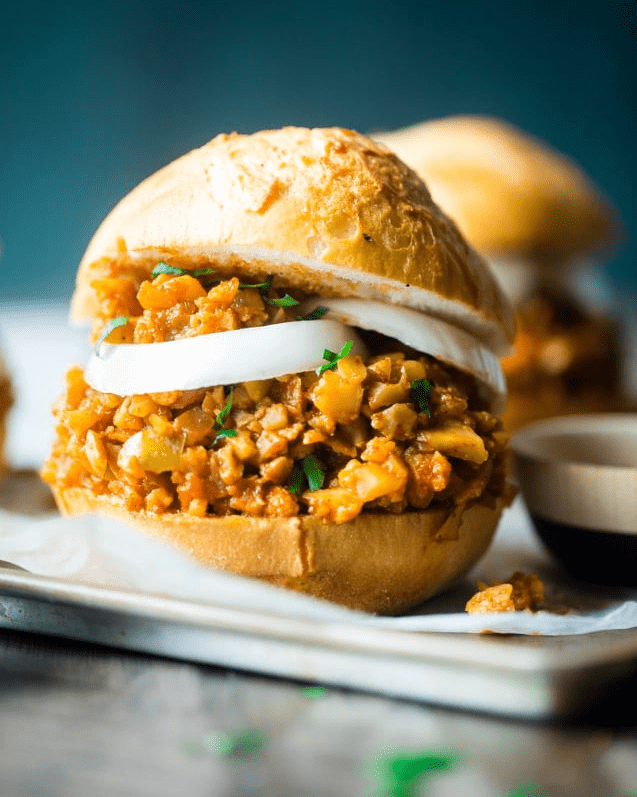 It’s amazing what can be done with cauliflower, and this recipe combines all the best elements of a sloppy joe. It’s creamy, it’s hearty, and it’s flavorful. 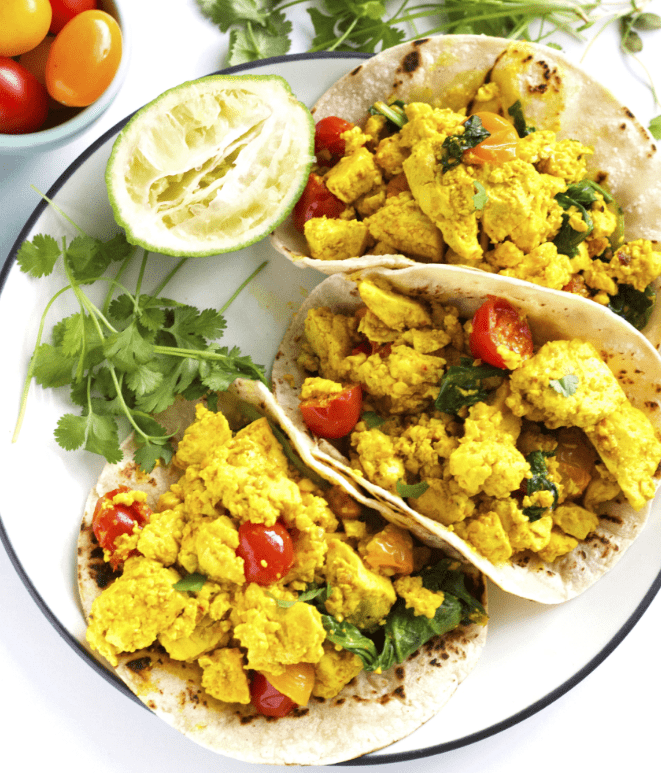 The cauliflower keeps this recipe low cal at 289 calories per serving. But the tomato paste and spice blends gives it that familiar flavor you know and love. It takes just 25 minutes to prepare, and it’s completely worth it. This lightened up ramen uses tofu noodles to slash calories and add protein. It adds sriracha and lime for flavor, and packs in cabbage to help fill you up. It’s 110 calories per serving and takes less than 20 minutes to come together. 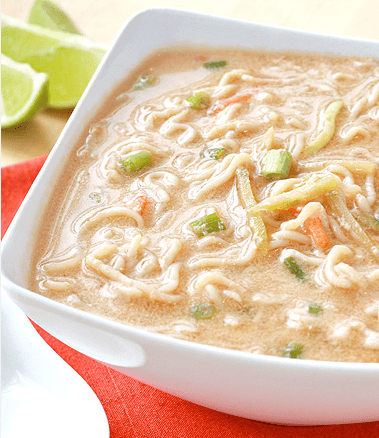 There’s nothing better than a big bowl of ramen on a chilly day, and it’s even better when it’s guilt free. Sub chicken broth for veggie broth if you want to make it vegetarian. 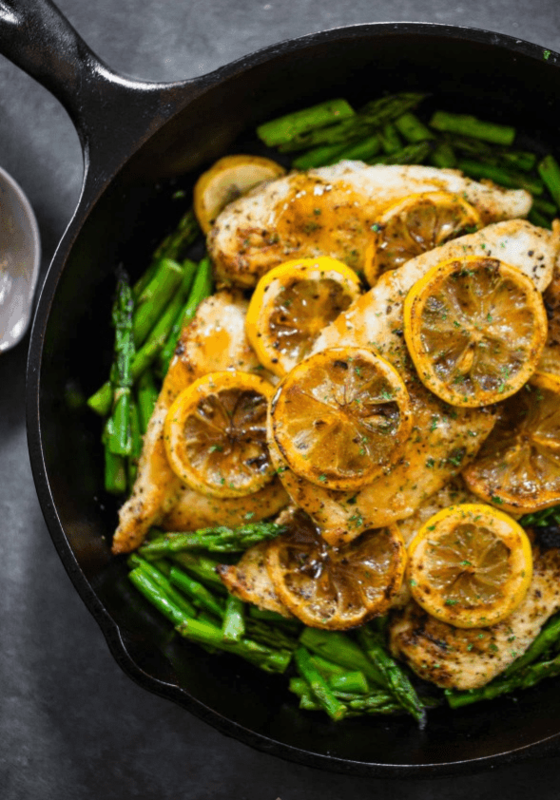 This skillet dinner is simple, healthy, and full of familiar flavors. With just 5 ingredients, it’s done in 20 minutes and is 303 calories per serving. It’s the perfect solution for busy weeknights, so no need to cave and order take out. It’s a bright classic that’s a perfect cap to a long day. We’re in for anything with teriyaki sauce. This recipe is so healthy and it’s a one pan dinner which means one thing: fast. It’s done in 30 minutes and is 240 calories. This meal is healthy and balanced. 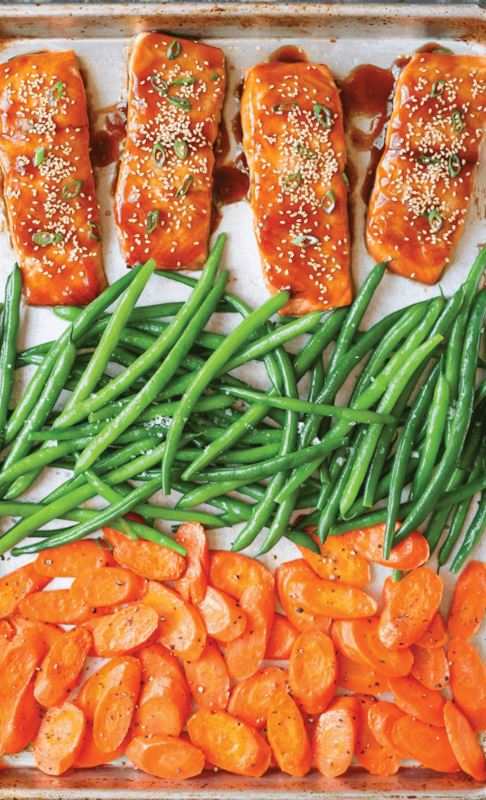 It throws in green beans and carrots for a veggie boost, and the teriyaki sauce guarantees yummy flavor. 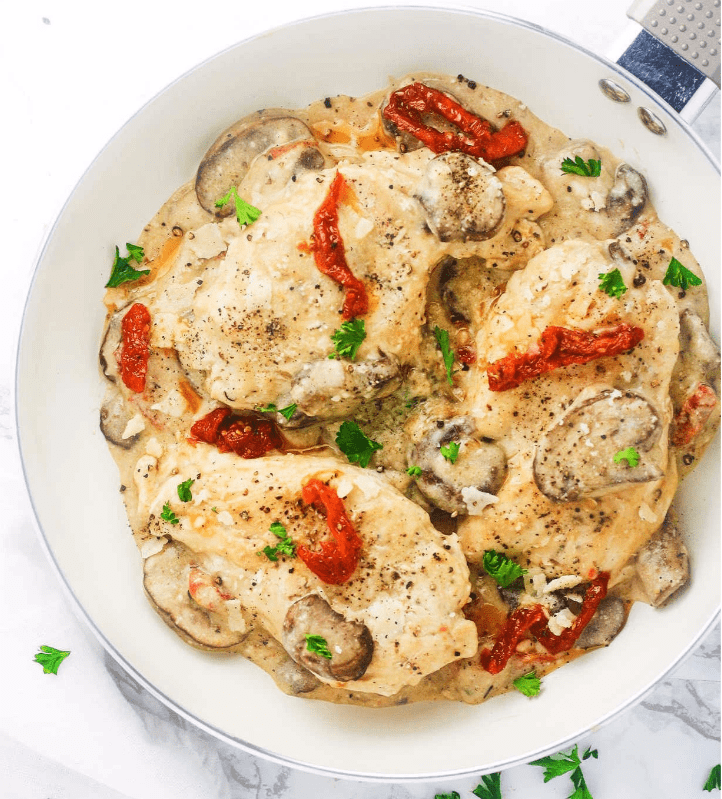 To continue our love of one pan meals, this one pan parmesan tuscan chicken cannot be forgotten. It tastes decadent, but it’s only 304 calories per serving. It uses almond milk and greek yogurt in place of cream to cut calories without sacrificing flavor. Technically it takes 35 minutes, but those extra 5 are so worth the creamy, cheesy treat that awaits. This is the holy grail recipe we’ve been waiting for. If you say you don’t like the creamy, cheesy perfection that is alfredo, we don’t believe you. This recipe is even better because it’s completely guilt free. Each serving is just 204 calories and is ready to eat in 30 minutes. 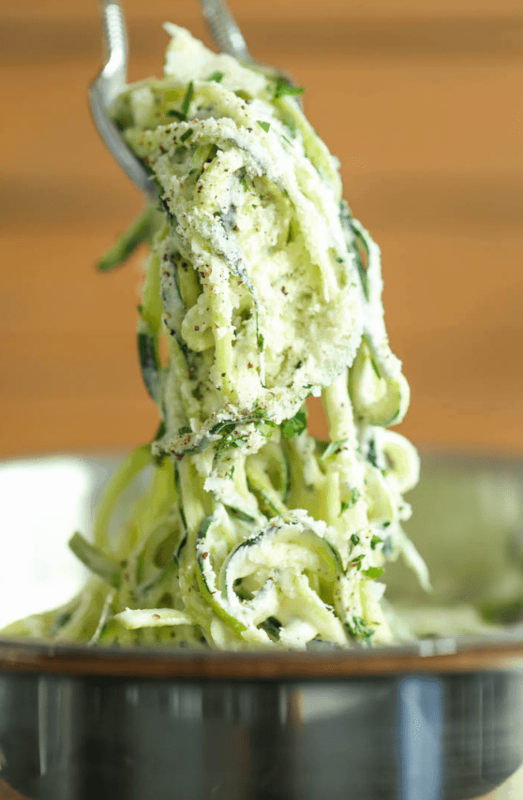 It uses 2% milk instead of cream and zucchini noodles to cut calories where it counts. Everyone knows it’s all about the sauce anyway. 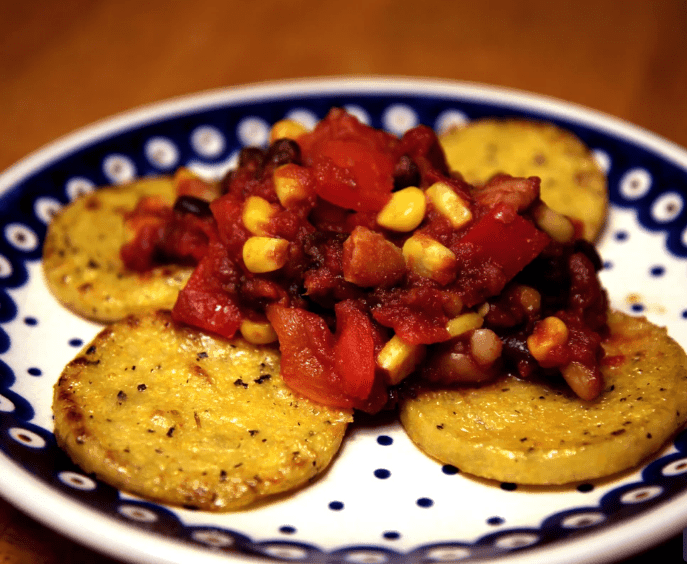 Who doesn’t love polenta? It’s textured, hearty, and just plain delicious. This recipe is done in 25 minutes, and clocks in at 284 calories per serving. Plus, it’s gluten free and vegan. It adds black beans for protein, and cayenne pepper for a little kick. This is a quick, unconventional dinner for when you’re bored of your usual fare. Stir-fry is the reigning king of quick dinners. This one takes just under 30 minutes and is 125 calories per serving. So, there’s plenty of wiggle room to throw in a serving of rice if you want a carb. 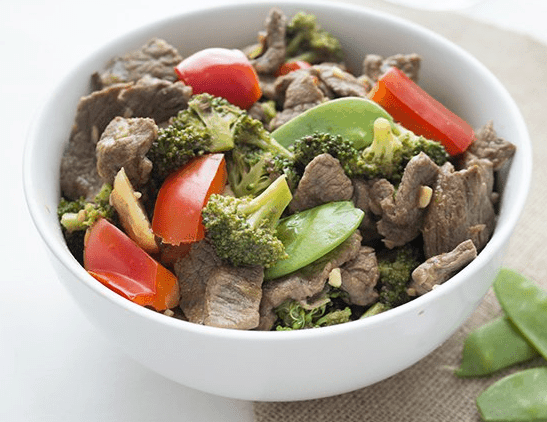 This recipe combines beef tips with orange juice, soy sauce, and tons of crisp veggies for a bright, flavorful, and satisfying meal. We can’t resist a good veggie burger. It’s the perfect way to satisfy that craving for a classic while packing in our veggie servings. 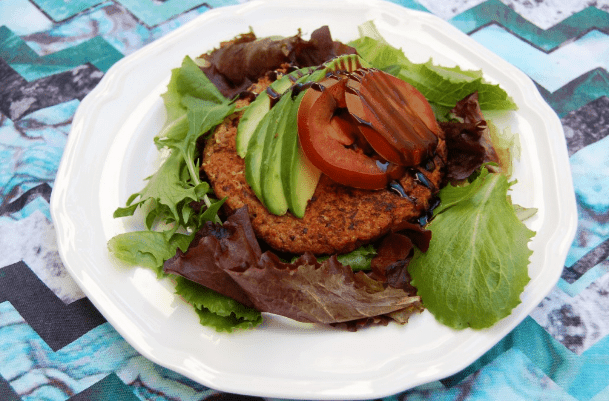 These burgers are 108 calories per patty and take just under 20 minutes to prepare. They use black beans and garbanzo beans to give it a meaty texture, and quinoa for substance. This recipe uses taco seasoning for extra flavor. Sub the liquid egg whites for a flax egg for a vegan option. We hope you’re hungry because now you have 21 easy, low-calorie recipes to try out! Delicious food doesn’t have to take tons of time or blow your calories for the day. Eat happy and guilt free with our 21 300-Calorie Meals You Can Make In Under 30 Minutes. Whether you’re trying to lose weight or just eat healthier, we know how hard it can be to stick to your goals. It feels especially tough when you feel like you have to make sacrifices. You don’t need to sacrifice, you just need a strategic plan. 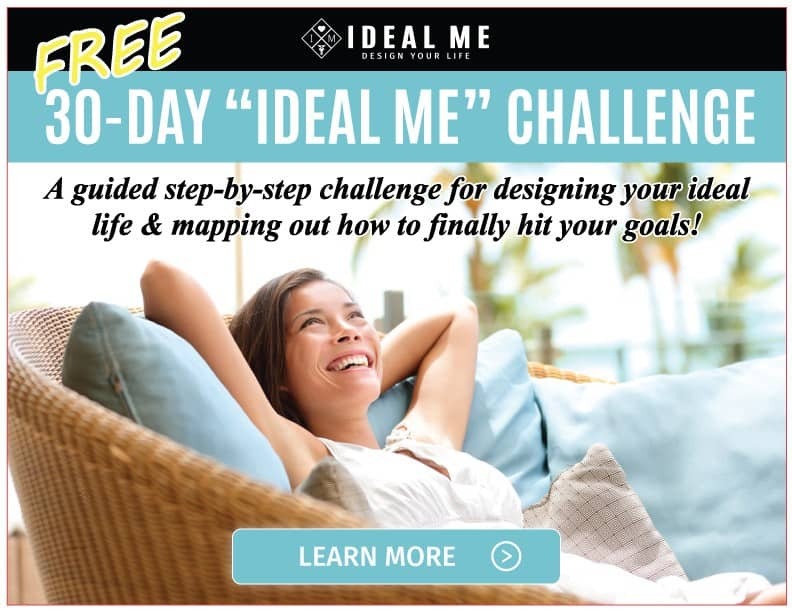 If you’re searching for a little guidance to stick to your goals, then join our 30 Day Ideal Me Challenge. We created it to help you design your ideal me life by breaking your goals down into sustainable lifestyle habits. Learn how to shift your mindset and stick to your goals by making a custom step by step plan. Learn more about creating the most achievable goals, how to create plans, and stay on track. Plus, get worksheets, printables, & daily videos to guide you along this journey. If you’re ready to start creating your own success sign up for my Ideal Me 30 Day “Design Your Life” Challenge now!